You hear the train horn blow, the sound echoes through the brewery. Everyone looks up from their flights to see the railroad cars swoosh past. Moments later everyone returns to their flights, taking inventory of what they have left to try. You see couples sharing samples and delegating beers to one another. You also see the regulars squeezing up to the bar for a quick pint or growler fill. The fermentation tanks shine with a purple hue creating a great night-life atmosphere. This is the Funk Brewing Company. The name “Funk” comes from the co-founder and partner Kyle’s last name – Funk. They carry this funk throughout the taproom with a mascot of a disco king with a hops face. The bar even has a life-sized cutout of the mascot in the brewery. 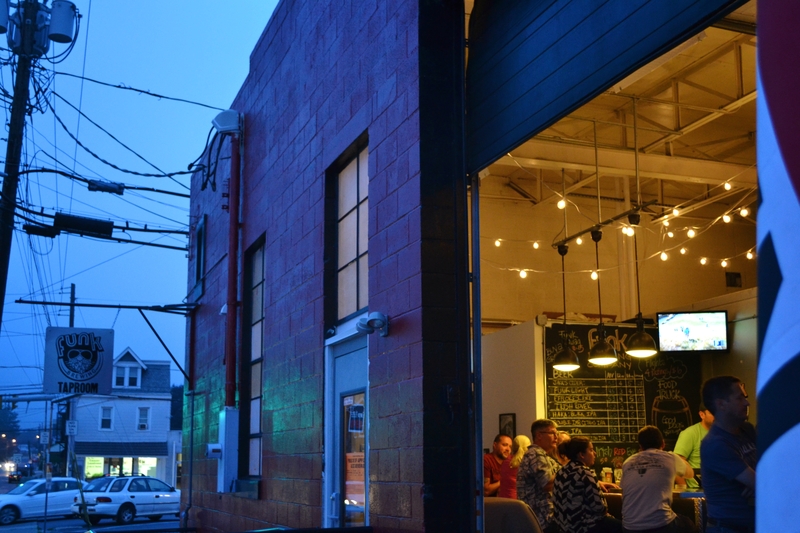 The taproom resides in a former car garage next to a storage facility. The facility is a few paces away from an active train track which certainly adds some entertainment when the garage door is open! Funk has seating for about fourteen at the L-shaped bar along with four or so bistro tables for larger groups. 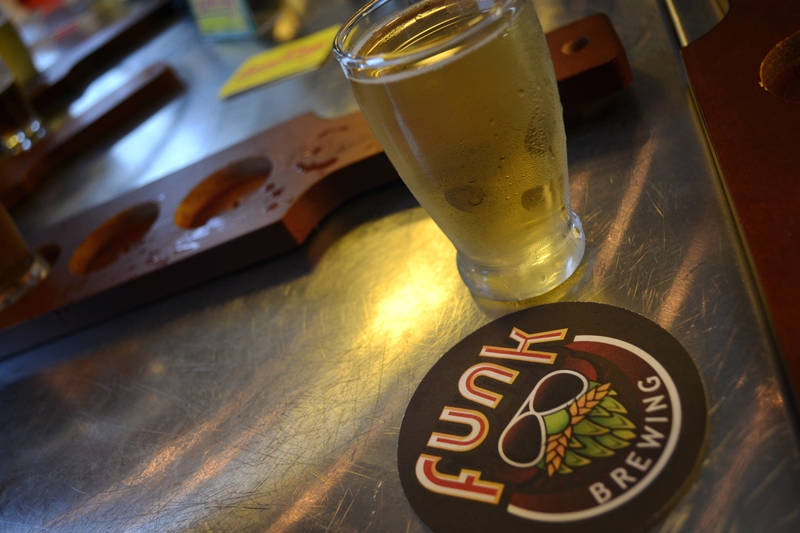 The Funk Brewing Company is the first brew pub in Emmaus. The El Vee wrote a great article on Funk’s history prior to their ability to sell beer by the glass. The article can be found here. Since the article’s publication (July 2014) the tasting room has opened and the prices cannot be beat, as you can see below. Funk also does a great flight deal. Normally a flight is $6 for 4 beer samples. 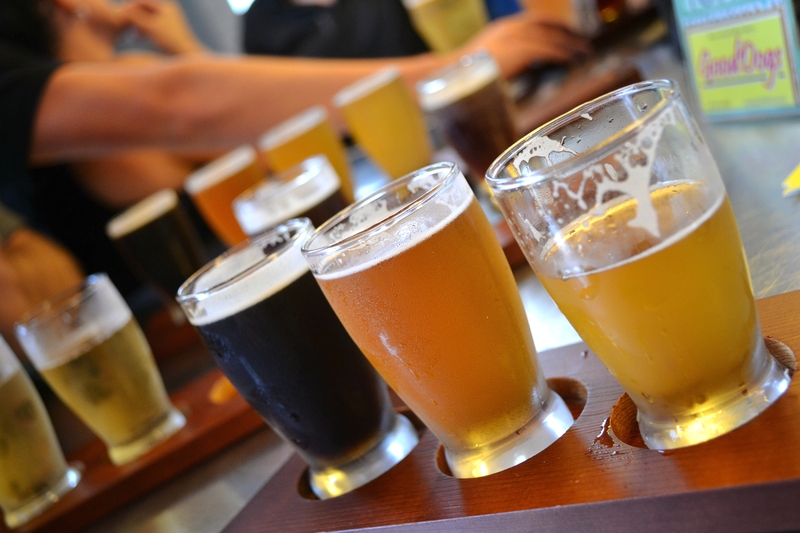 They are currently serving 9 different beers – so they offer all 9 beers for $12.00! 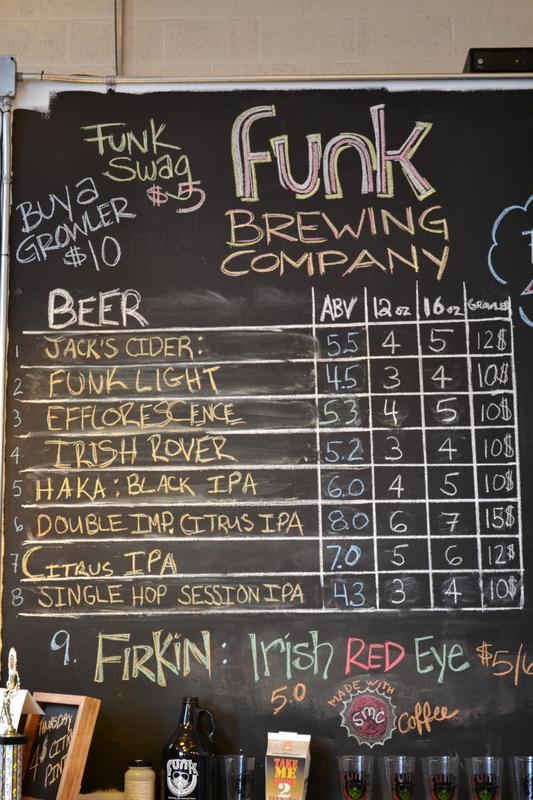 If you are looking for some groovy brewskis – head over to Funk Brewing in Emmaus. They just won Best IPA at the 2015 Brewfest! Also be sure to try the hibiscus saison Efflorscence (ABV 4.8) – it is exceptional! Like Funk Brewing Company on Facebook to find out which truck will be at the taproom during your next visit!